Serving each other, our customers and our communities is the foundation of everything at Popeyes - you find it in our Purpose, the Principals we live by and the roadmap that guides our business decisions. We believe our culture of servant leadership sets us apart. It reminds us that “how” we work is just as important as achieving our goals. We serve more than great food – we serve you by offering a competitive salary and benefits choices that help you succeed. Some of our benefits are highlighted below. 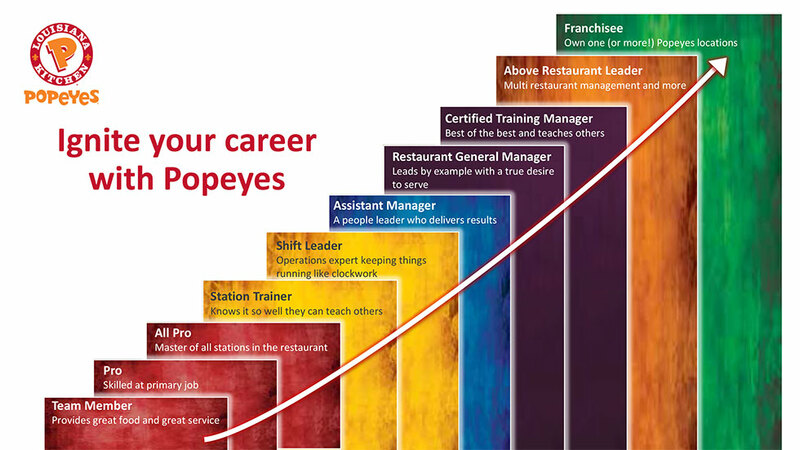 This overview provides highlights of the benefits package for Popeyes employees. If any statement conflicts with the applicable plan documents, the applicable documents will govern. The company retains the right to change or eliminate at any time.